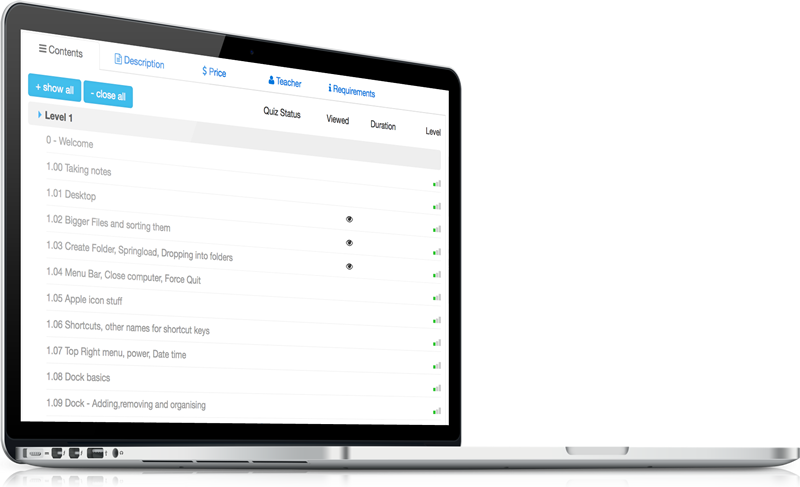 With our Joomla LMS, you can add a table of content for each course. 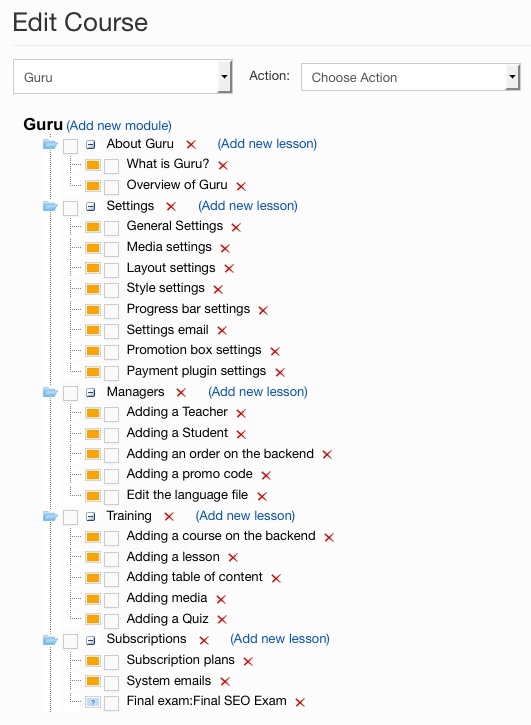 The Course Tree feature makes constructing your course a breeze. This allows you to stay on the same page. You can enter the module name, select a media and access. If you don't choose any media or text, the module name will be displayed in large font inside the module window. This allows you to stay on the same page. You can then select your layout, narration and much more. Learn more about lessons here. 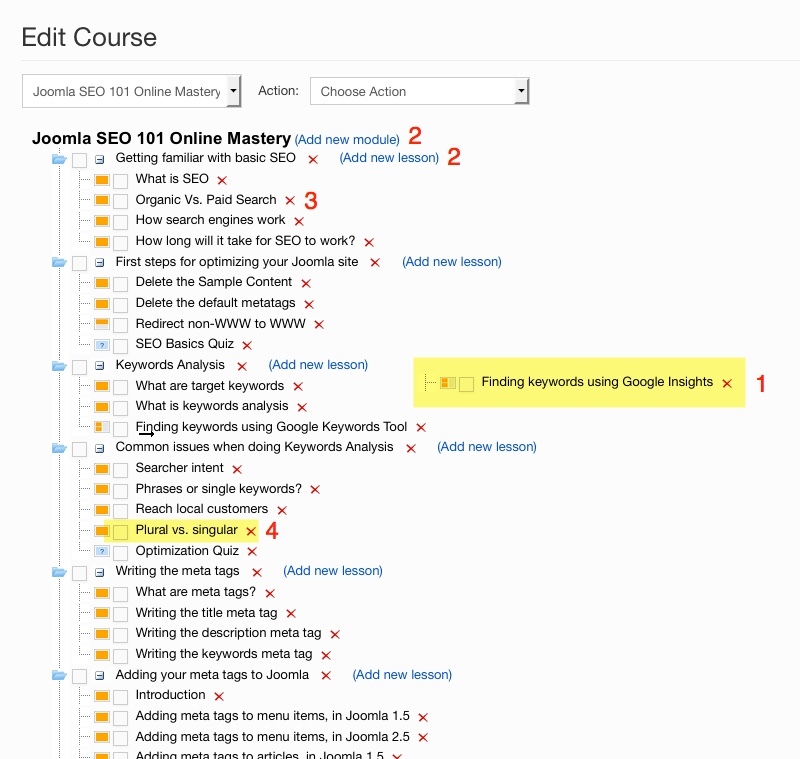 e-Learning for Joomla has never looked better or slicker with this table of content feature!